In May 1986, "Top Gun" arrived in movie theaters and quickly turned Tom Cruise into a movie icon and superstar. You've most likely have heard of the film (if not seen it), but did you know that much of the movie was shot in San Diego? While some locations are long gone, others still exist and are revered by the legions of "Top Gun" fans that flock to the sites when they, like Maverick, "Feel the need...the need for speed." 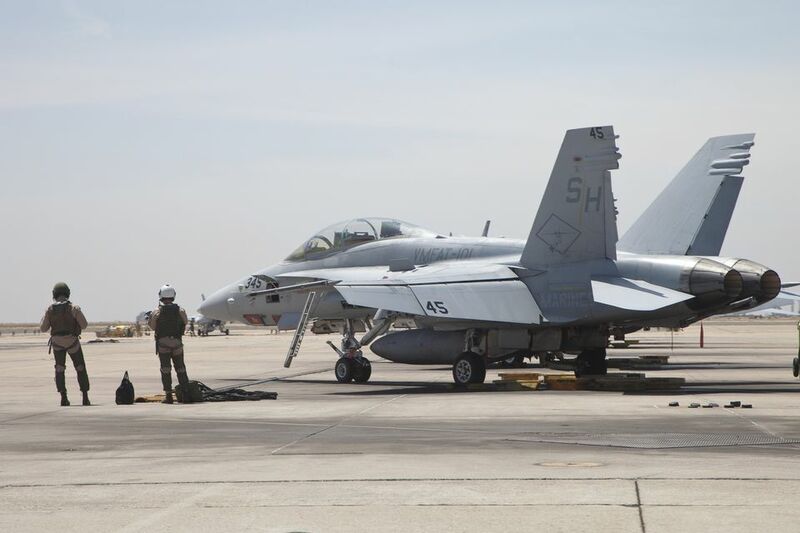 Now the Marine Corps Air Station Miramar, the former Naval Air Station at Miramar was for years known as Fighter Town U.S.A.—the home of the "Top Gun" training school. The base is not readily accessible to the public, but if you're in the area along Miramar Road and I-15, you can see fighter jets doing maneuvers in the sky (but maybe not the F-14s from the movie). The volleyball scene in "Top Gun" was shot on sand courts on the base. No longer in existence, the courts were located north of Barracks 298-300. Hangar Three at VF-124 was used for many of the hangar scenes. "Top Gun" might have been all about fighter jets and flyboys, but it was the scene where Tom Cruise and Anthony Edwards (along with Kelly McGillis and Meg Ryan) bash out "Great Balls of Fire" on the piano that remains a fan favorite. This scene was filmed at the Kansas City Barbeque at 610 W. Market Street in the Gaslamp Quarter. The venerable rib joint became iconic in filmdom because of this scene and is now a tourist attraction. According to the owners, a location director was downtown, saw the place and stopped in for a beer. He liked the vibe, told director Tony Scott, and Scott asked if they could close for a day of filming. And the rest is film history. This little cottage in Oceanside was the house where Kelly McGillis' character, Charlie, lived. But the scene where Maverick and Charlie are sitting on the patio was actually filmed on the Paramount Studios lot. The house, in need of restoration, is in an area slated for redevelopment, where a resort complex is planned. Because of the house's popularity, the structure is planned to be incorporated into the developer's plans. The former Naval Training Center is now the mixed-use development called Liberty Station, but in the "Top Gun" era, it was still the place where Naval recruits went through boot camp training. Many of the historic buildings along the NTC Promenade on Old Decatur Road are similar—if not the same—as some of the exterior scenes from the movie, including the scene where Charlie runs after Maverick to his motorcycle after a classroom briefing. There was also a memorable scene where Cruise follows McGillis into a bathroom at a bar—this was filmed at NTC in the USO Building (no longer there). This is the location of the spot in the movie where Charlie (McGillis) chases down Maverick (Cruise) in her Porsche and confronts him. As you go up the hill, there is a big palm tree where the scene was filmed. In the scene where Maverick is sitting at a bar drinking a glass of water, Charlie finds him and asks "So, I am too late?" there's a big picture window with planes on a runway in the background. That shot was filmed at the Windsock Bar & Grill, which was located right on the runway of Lindbergh Field at the Jimsair Charter Service. The Plunge is a huge indoor pool at Belmont Park in Mission Beach and is where the locker room scenes in "Top Gun" were filmed (where Iceman, played by Val Kilmer, confronts Maverick about being a cowboy). This facility, which is on the very tip of Point Loma, is run by the Coast Guard and not readily accessible to the public. Not to be confused with the Cabrillo National Monument lighthouse, this working lighthouse is on one of the most picturesque spots in San Diego County and includes three main structures that house Coast Guard officers. In "Top Gun", this is where Viper (Tom Skerritt) lives and is visited by Maverick (Cruise) in one scene. You can spot the lighthouse from certain vantage points above at the Cabrillo Monument.